Larry The Cable Guy is bringing his 2019 tour to the Bellco Theatre in Denver, Colorado on Saturday, Sept. 7! 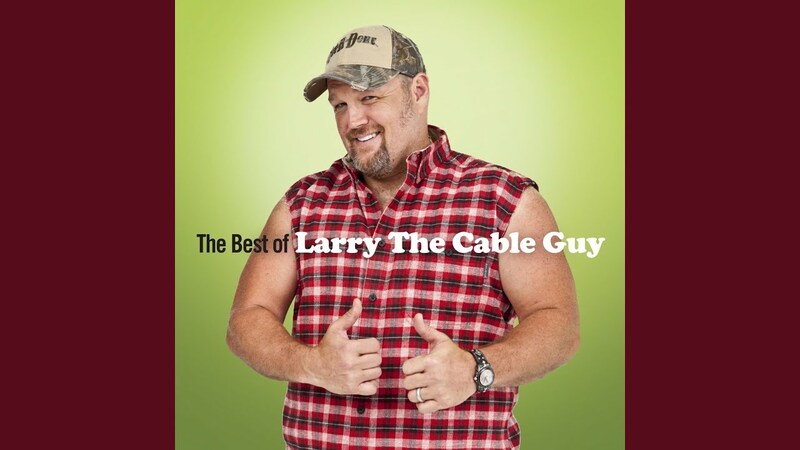 Listen to some of the blue-collar comedian's best jokes by playing the video above, then get tickets to see Larry The Cable Guy live now here on AXS. He announced the additional date on Twitter this week as part of his latest tour, which brings him back to stand-up comedy after he's also built a successful career in film and television. Comedy fans will recognize Larry from his History Channel series "Only In America with Larry The Cable Guy", as a cast member on the sketch series "Blue Collar TV," and as the voice of the tow truck Mater in Disney's animated "Cars" films. But his roots are in stand-up, and throughout his other projects, he's found time to entertain audiences around the country. His album The Right to Bare Arms was certified Platinum by the Recording Industry Association of America, and he's also had success as part of the Blue Collar Comedy Tour. That's because the comedian, whose real name is Dan Whitney, has created a character who is the perfect redneck stereotype. He's poking fun at the entire concept (including the fake Southern accent inspired by college classmates), while also appealing to those hard-working fans who want down to earth comedy. That's what makes Larry The Cable Guy worth seeing live. While other comedians are edgier or more in your face, his act is as much about making fun of his own character as it is anyone else. The joke is on him first and foremost; he's not trying to bring anyone else down. Instead, he's trying to make everyone laugh, and that includes people of all ages. His performances are great for fans and families, and anyone who wants to see a comedian who's different from the pack. Don't miss your chance to see him when he performs in Denver. Tickets to see Larry The Cable Guy live at Bellco Theatre are on sale now through the AXS event page. Ticket prices and more information are available on the event page. Full information about his 2019 tour is available on his website. For more on Larry The Cable Guy, including tickets to his upcoming shows, visit his artist page at AXS.